What’s new – good question! 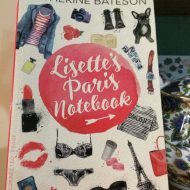 There is this – uncorrected proof of Lisette’s Paris Notebook! I’m at the proofreading stage now. It feels great to be at the final stages. 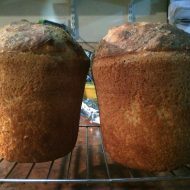 There has also been knitting, sewing, sourdough baking. As well as teaching – I teach poetry now every week at The Avenue Neighbourhood House in Blackburn South – we begin the morning with a workshop group and move on to an exploration of published poetry in the afternoon. It all happens on Thursday which always makes me feel as though I’ve started my weekend early! It’s meant that I’m reading more poetry – and even writing more. I miss poetry when I don’t have it in my life, so this has been an enormous plus. Other reading has included beginning my ‘homework’ for next year’s NatCon – I’ve been reading Seanan McGuire’s October Daye series with great enjoyment – urban fantasy, a bit of romance and detective work with a cast of Fae included – what’s not to love? Despite these pleasures I’m feeling a little displaced and weirdly blue. Or, maybe a little blue and weirdly displaced. It could be simply the end of winter. Or, it could be the whole work/creative work/life balance. I work hard at optimism – but it does occur to me that optimism shouldn’t be something you have to work hard at! 1.Music – and more music. You can’t get enough music! 2. Painted fingernails. Yes. It is true. 3. The smell of bread baking. 4. Turning off the damned computer by 7.00 pm – okay, you’re allowed to Pinterest on a Tablet for an extra hour – that is if you didn’t accidentally drop your tablet like I did a couple of weeks ago, after telling your partner what good care you took of your things. Karma! 5. The gym. Okay – no, this would not normally be on my Top 5 list but I’m becoming quite fond of the crosstrainer. 7. Working at the library – or anywhere that isn’t actually home. 8. A stack of bedtime books – and a diverse stack – poetry, novels, cookbooks, knitting books. 9. Cheap movie night – frugal and festive. 10. Knocking down the To Do list and having something to look forward to at the end of the working week. I know these blue-tinged days will pass – but I want them to pass a little more quickly so I’m actively working on all of the above. I also know that I shouldn’t be blue – given the new book on my desk and all. But emotions aren’t always subject to logical thought, so I’m giving myself some space and kindness in the meantime. My Headspace Meditation is Patience – and I’m practising on myself. That does sound like a good way to defeat the winter blues! I love the idea of the changing colours of spawning cuttlefish!